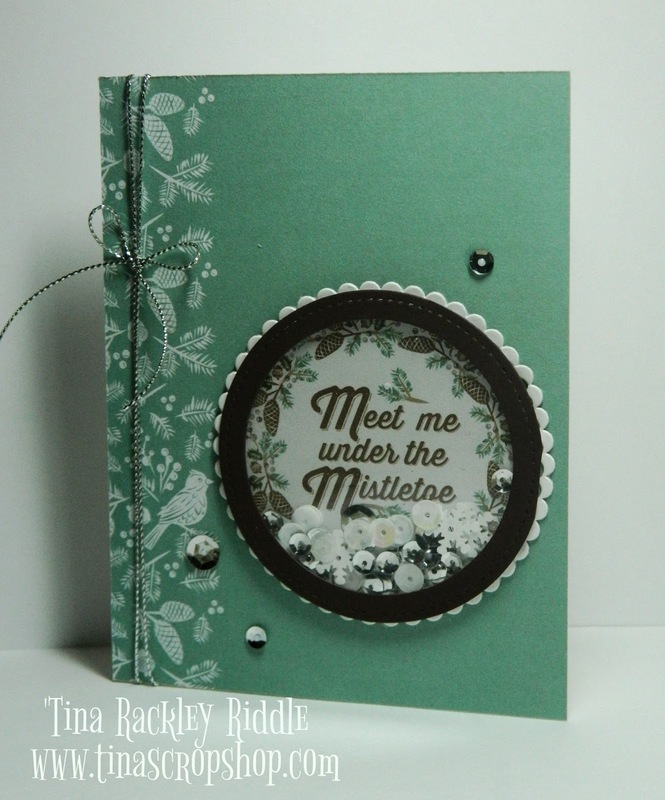 Tina's Crop Shop: PCC223 Paper Craft Crew Sketch Challenge! Don't kill me.. seriously I know, I know, I know... that I said I was done with my Christmas cards. I lied! Sorry. I forgot to make Jeff a card and you know I had to do that! I used this week's fun Paper Craft Crew Sketch to create what is I promise... my LAST Christmas card! I decided to turn the sketch on it's side to come up with my shaker card for Jeff! Astounding article. I am so inspired. I think you have an awesome information particularly while dealings with such subjects. A debt of gratitude is in order for your production; wild style. An abundance of thanks sharing your article.